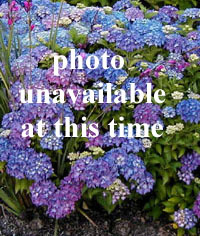 Joy Creek Photo Archive (c) all rights reserved Several of our customers have asked us to carry this plant. We thank them for their suggestions and share their enthusiasm. This terrific groundcovering perennial is happy in both dry sun and dry part-shade situations. The small, glossy, evergreen leaves offer year-round interest. They appear on creeping, much branched stems that are woody at their base. When this is in bloom, the ground is a sea of tiny, cupped, blue flowers. Spring to summer. 2 in. x 1-2 ft.